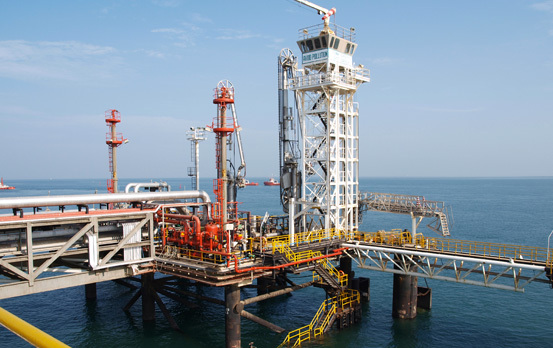 Reliance Jamnagar Marine Terminal is situated in the Gulf of Kutch, State of Gujarat, India, about 35 km west of the town of Jamnagar. The Marine Terminal was inaugurated in 1999, to serve the world’s largest grass roots refinery, having a capacity of 33 MMTPA. 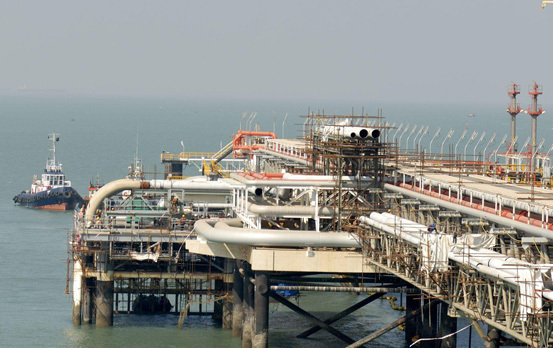 In 2006, after eight years of successful service, Reliance Industries Limited (RIL) has planned to increase the crude processing capacity of the refinery from 33 MMTPA to 64.6 MMTPA, as part of the Jamnagar Export Refinery Project (JERP). The aim of this is to maximising processing units and production of refined petroleum products as well as additional petrochemical products for the export markets. The marine facility for the existing refinery comprises of 2 SPM’s for crude oil import and 4 Tanker Berths A, B, C and D for exporting products and a seawater intake facility for cooling water requirements. In addition the marine facility also includes a Ro-Ro facility and unloading platforms for handling Project construction cargo. 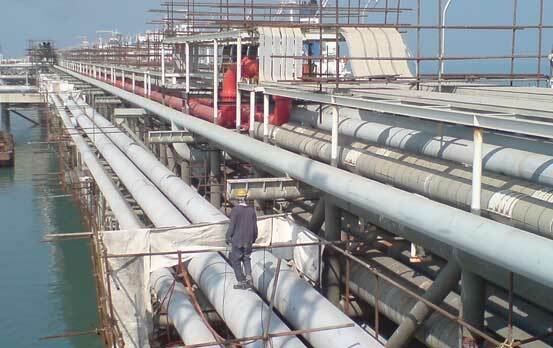 The product pipelines from the existing Jamnagar refinery were routed from Marine Tank Farm (MTF) to Land Fall Point (LFP) on onshore RCC sleepers and steel frames. These then travel on pile supported RCC pile caps and steel frames along 1400 m long shore link between LFP and Zero Point (the interface point between the Shore-Link and the Approach Trestle). From the Zero Point (shore line) the existing crude and product pipelines were supported on 60 m span structural steel Approach Trestle beams having total length of 3600m. These existing Approach Trestle beams were supported on steel Mono-pile structures socketed in hard rock for desired pile capacity. The lines run on the Approach Trestle up to the Knuckle and then along the Jetty Trestle to the Berths or the existing riser platform. In order to meet the cargo handling requirements for crude import and product export from the new JERP, the marine facility needed an expansion by the addition of a crude import SPM and two product export SPMs. 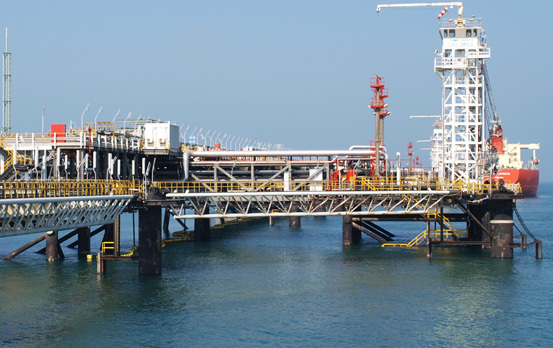 The additional product pipelines to the export SPMs will be routed through the existing facilities to the New Riser Platform at the end of the Jetty Trestle. Detailed design pf new lines from LFP to Y-Point via the Take-Off Point. Civil/structural design of modification to Approach and Jetty Trestles, Berth Heads and existing Riser Platform.